It was memorial day weekend. My husband and I made the 2-hour drive to our hometown for a barbeque with my family. 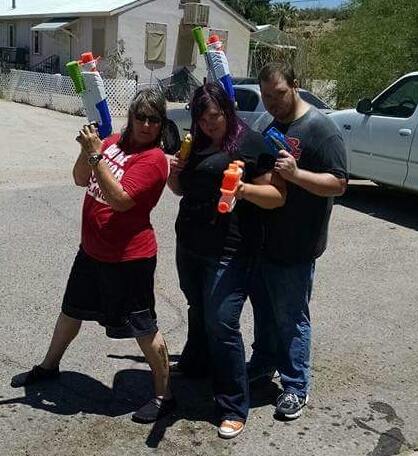 My mom had planned a water gun war. We were a little apprehensive. Family get togethers can be a little bit sad, because a part of the family isn’t there. Link is a part of me, but for the rest of them, their world does not revolve around him. The thought of childish fun didn’t seem possible, but we decided to try. It turned out we had a blast. We laughed and ran around like we were carefree kids again. As much fun as we had, there still came that moment. I was watching my nephews running around the yard, spraying each other. The older boys (ages 16, 13, and 10) were helping my youngest nephew, Emmett with his water gun. Emmett is 2 years old, and I had big dreams of his friendship with Lincoln. As I watched these boys, it hit me: they’ll never know their cousin. His cousins never met him, so they don’t ask about him. I can feel like, to them, he didn’t exist… except for to Emmett. It seems to me, that the younger kids are, the more connected they are to heaven; and to the human heart and soul. Emmett is only 2, but to him, Lincoln is very real. He showed me this at that memorial day barbeque. After running around with his water gun, Emmett was soaking wet, and shivering cold. I brought him inside and wrapped him up in a towel. He noticed that everyone was eating ice cream sandwiches. Even though he was cold, he wanted one. I held him to keep him warm while he ate his treat. 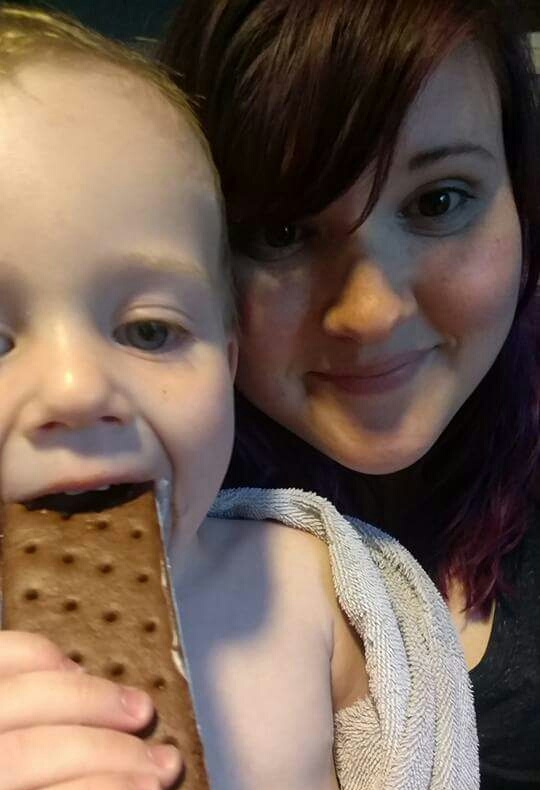 When you give a 2 year old ice cream, you turn into their favorite person. For the next hour, he trailed me around the house, holding his arms out to me, “Auntie, up!” Before getting ready to leave, Emmett came up to me one last time with his arms out and said, “Auntie!” I lifted him up and he immediately went for my locket. I told him it was for his cousin Lincoln and he repeated, “cousin Lincoln”. He lifted it up and pressed it to my lips. Then he pressed it to his and said, “kisses for Lincoln.” After continuing to play with it and kissing it a few more times, he lifted it up and said, “I looooove you!” He brought Link’s daddy and I to tears. When we were all saying goodbye, his mom reminded him to say goodbye to all of his cousins. He looked to my locket and said, “bye cousin!” before finishing goodbyes with everyone else. He left everyone in the room misty-eyed. He filled my heart with so much love and joy. When Emmett visits, he always takes time to look at Lincoln’s picture. He always touches his locket, or he gives his handprint pendant a high-five. To that little boy, Lincoln is very much a part of our family, and I could not be any more grateful. Children are amazing. What a loving little guy!